The smarthome market is still, very much, a market for early adopters—complete with successes, duds, and plenty of confusion. Among the mass of products, however, there’s one that is a practically perfect starting point for everyone: the Philips Hue smart light system. 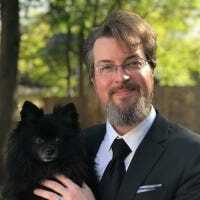 We get a lot of requests from friends, family, readers, and even strangers, for insight into what’s worth bothering with in the smarthome market. Everyone wants to know what’s worth getting, what’s user friendly, and what’s the best bang-for-your-buck in the budding industry. Nobody, after all, wants to be the Betamax family in a VHS world. The Hue is the gateway drug of smarthome tech. Universally, we give them one straight forward answer: Get the Philips Hue light system. It’s not just a really polished smart home product, it will fundamentally change the way you use lighting in your home. So what exactly is the light system all about? The Hue system is a platform comprised of a smart hub and one or more smart lights and accessories. All you need to get up and running is either their basic starter kit ($70, 2 white bulbs and a hub) or if you want something fancier and more fun to play with, the premium starter kit ($140, three color changing bulbs and a hub). 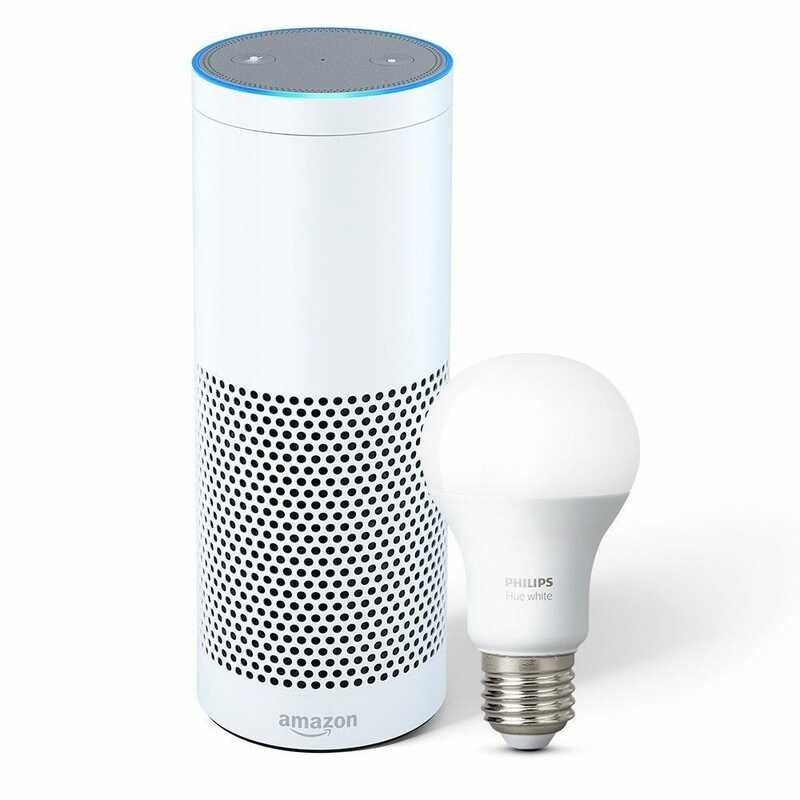 The hub and the bulbs/accessories communicate over an open standard radio protocol called ZigBee (used in the Hue and many other smarthome products). If you can screw in a light bulb and download an app, you can setup and configure the Hue. You plug the hub into your router, you screw the bulbs into any kind of light fixture around your house (table lamp, ceiling fixture, doesn’t matter). You download the Hue app, do a some very cursory setup, and you enjoy. Thanks to the simple setup and the lightning fast wireless communication, you can roll a whole new lighting system in your home without ripping up the walls to run new wire and switches—and you can do it all in less time than it takes to watch a Futurama rerun. Ease of use alone does not a great value make, however, and where the Hue truly shines is the trifecta of additional benefits it brings to the table. The Hue system is easy to expand, it’s easy to integrate into other smart home tech, and it gives you access to luxury home level lighting tricks and benefits on a shoestring budget. Philips went full bore with smart lighting from the it shows. Their system and selection is light years ahead of the competition. While other manufacturers might have a bulb or two on the market, you can find a Hue bulb for just about everything. They have a variety of standard A19 Edison bulbs in white, “ambient” (which are fancy bulbs that you can shift from cool to warm white), and even fancier full color bulbs (that you can shift to practically any color you want). In addition you can get LED strips, candelabra bulbs, spotlight bulbs, and just about everything in between. Then, on top of just bulbs, there’s a whole line of lamps like table lamps, ambient lighting, and accent lamps. You can even expand the functionality of your system with two different kinds physical control switches, the Philips Tap and the Philips Switch—which allow you to trigger groups of lights and lighting scenes without your smartphone. In our house we have a Philips Switch right on the wall in every room that uses Hue bulbs. 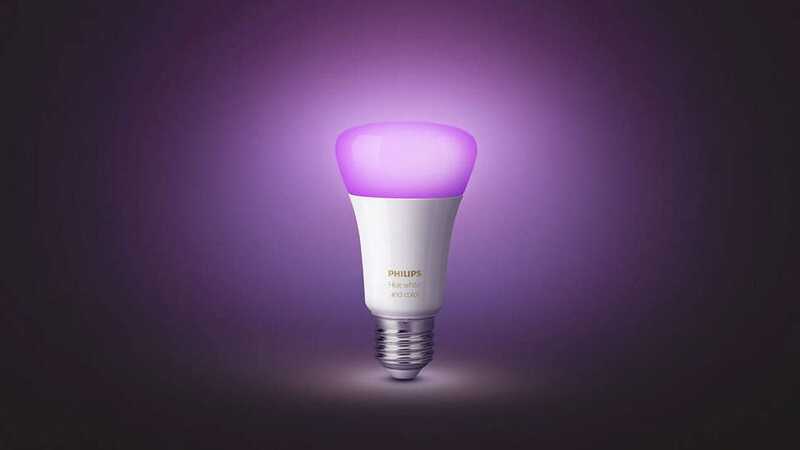 Further, you can even use some third party bulbs, like the Cree Connected bulbs, with your Hue system. One of the worst things about the smarthome tech market right now, if not the worst thing, is how difficult it is to get most smarthome tech to play nice with other smarthome tech. That’s not a problem with Hue. 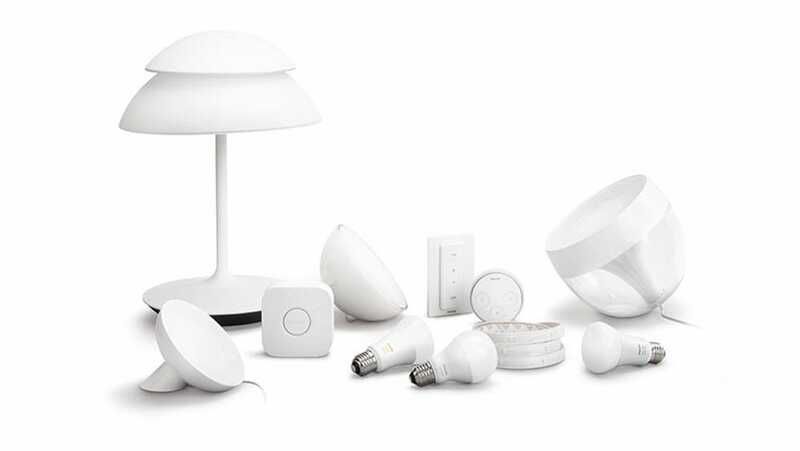 Because the Hue was one of the first really high profile smarthome products (and because the Hue system is very easy to access for developers) it became pretty much the default product many companies would showcase their smarthome tech with. Direct competitors to Philips obviously don’t have the best integration (or any integration at all in many cases) but everybody else can’t get enough of the Hue. If it doesn’t work with Hue, there’s a good chance it’s not even worth looking at. Want to control Hue using Siri on your phone? No problem. Want to tell Alexa to dim the lights using your Echo speakers? Easy peasy. Want to set a lighting scene with Google Voice Assistant? That’s a snap too. Whether you want to control your Hue lights with a third-party light management app, your Apple Watch, or get a (little) technical and use the IFTTT scripting language to link your Hue lights to practically any device or internet service under the sun, you can do so. Everything else we’ve covered up to this point pales in comparison to the real reason we’ve come to love Hue so much. Earlier we made the claim that the Hue will fundamentally change the way you use lighting in your home and we absolutely meant it. To highlight the way the Hue changes lighting, we’ll use our bedroom as a simple but powerful example. Our bedroom has three lamps and one overhead light in it. 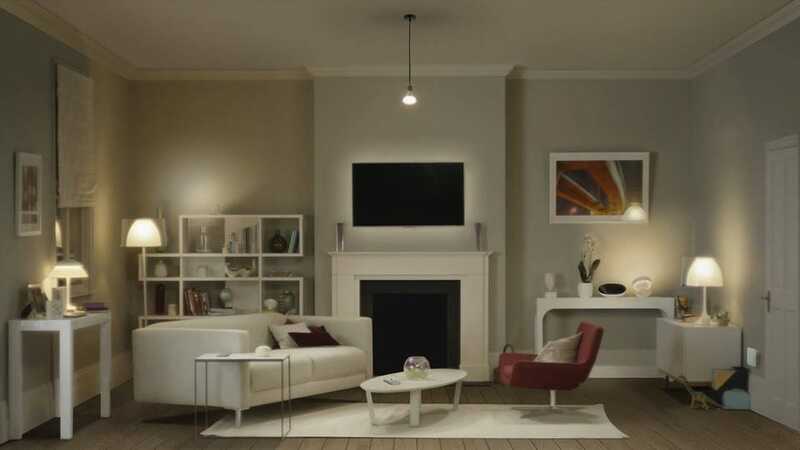 The lamps are divided between reading lamps on each of the nightstands and an accent light behind the television that provides bias lighting for a more pleasant viewing experience while watching TV. Historically, none the lights dimmed, all of them were fixed colors (either you pick warm white or cool white, and you’re stuck with it), and each of them had to be turned on and off individually. Start to nod off watching a movie? You gotta get outta bed to turn the light off. Spouse fell asleep with their reading light on? You gotta get out of bed to turn it off. Want to dim the lights for mood lighting? Too bad. Want your lights to turn on before sunrise to wake you up on dreary winter mornings? Not happening. Want to set up specific scenes for different moods and needs? Come on, what is this, a multi-million dollar house with a custom lighting control panel in each room? The Hue system didn’t just automate our lights, it changed how we thought about using them. Introducing the Hue lighting system in our bedroom, however, made all of those “Not going to happen!” moments we just rattled off above completely accessible—no costly rewiring job needed. We were early Hue adopters and for years now we’ve enjoyed on demand mood lighting, custom scenes for everything from sharp bright white light to get us energized and out of bed to soothing yellow light to help us get sleepy at the end of the day. We wake up easily before dawn in the dead of winter by using the lights as a sunrise alarm clock. We can automate our lights on a random schedule to create the illusion that we’re home when we’re really on vacation. We can tell Alexa to turn off all the lights when we’re headed out the door in a hurry. Hell, our lights will even blink on and off to wake us if our Nest smoke alarms are triggered. Is investing in the Hue platform as cheap as just buying a pack of plain old LED bulbs at your local big box store? No, it certainly isn’t. Is $140 for the premium starter kit a ridiculous bargain that lets you jump right into the world of smarthome tech and enjoy all the benefits (and more) we’ve outline above? It absolutely is. That’s the fundamental allure of Hue. Not only is it easy to setup, use, and expand, but every time your lights gently wake you up in the morning, automatically turn on at dusk, alert you to danger, or otherwise work at your beck and call, you feel like you’re living in the future. It’s easy to think of bathroom upgrades in terms of big-ticket items and total remodel jobs, but we’ve rounded up some great cheap upgrades you can enjoy right now for less than $20 each.